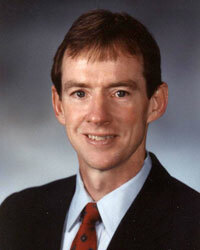 Dr. O’Holleran is board certified surgeon who has been practicing surgery since 1985. He completed his M.D. at the University of Nebraska, and residency at the Wesley Medical Center in Wichita, Kansas. After his vascular surgery fellowship in 1985 he made his home in Cheyenne. He completed a vasular surgery fellowship at Arizona in 1985. He is board certified by the American Board of Surgery, specializing in general surgery and the treatment of vein disorders. Dr. O’Holleran’s hospital affiliations include, Cheyenne Regional Medical Center, Yellowstone Surgery Center, Cheyenne Surgery Center, Medical Center of the Rockies and Ivinson Memorial Hospital. With over 20 years experience in general surgery, he joined Dr. Surbrugg in 2005 to found the Vein Treatment Center of Cheyenne. Dr. Surbrugg is a board certified dermatologist who has been practicing dermatology since 1985. A native of Colorado, she attended the University of Colorado to earn a Bachelor of Science degree as a Child Health Associate, returning to earn her medical degree with honors in 1981. Dr. Surbrugg completed an internship in pediatrics and a residency in dermatology, both at the University of Colorado. She is board certified by the American Board of Dermatology, specializing in dermatologic surgery and dermatopathology. Dr. Surbrugg has served on the Credentials, Pharmacy-therapeutics, Medical Records and Peer Review committees at Cheyenne Regional Medical Center. She has also served as Chief of Staff of the hospital. 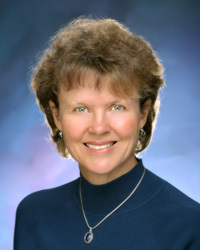 Her professional affiliations include; American Academy of Dermatology, American Medical Association, Wyoming Medical Society, Women’s Dermatologic Society, American Society of Dermatologic Surgery and Colorado Dermatologic Society, as well as her community involvement with the American Cancer Society, Laramie County Community College Foundation, Laramie County United Way, Wyoming Health Insurance Risk Pool and the Wyoming Medicare Advisory Committee. Together Dr. O’Holleran and Dr. Surbrugg use their expertise to treat patients with painful, embarrassing varicose veins, taking the steps to keep legs and the whole body healthy.